Biotherm Daily Exfoliating Review (2018): Should You Buy This Product? What Is Biotherm Daily Exfoliating ? Founded in 1952, Biotherm is a French skin care company that locally marketed skin care products. It wasn’t until 1970 that L’Oreal, one of the largest companies in the beauty and skin care industry, acquired full control and management over Biotherm, Today, the brand is best known for manufacturing products that use thermal planktons as a key ingredient in their formulations. Biotherm Biosource Daily Exfoliating Gelee, US $14 for 150 ml is a daily exfoliating solution designed to be a physical, abrasive technique to eliminate impurities that pile up on your skin everyday. Biotherm Daily Exfoliating – Does It Really Work? This product’s main mechanism is physical exfoliation, using three different materials as physical exfoliators. These are prepared in varying sizes that suit very different impurities stuck in your pores and resting on the surface of your skin. It ends with a nutrient and moisture boost from the plankton in the formula. Clear your skin of debris that masks your otherwise clear and bright complexion. Revitalize your dull and tired complexion by sloughing away impurities and drawing out grime from your pores. Encourage faster and more efficient skin regeneration and turnover. 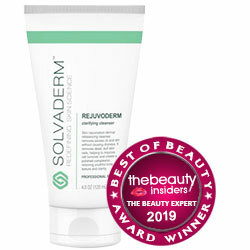 Promote the resurfacing of new skin to replace the damaged, old layer. Improve overall skin health and appearance. What Are The Ingredients In Biotherm Daily Exfoliating? 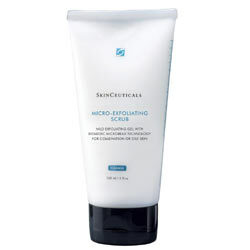 Micro-beads: Perform gentle, physical scrubbing that gently sloughs off the damaged surface layer of your skin as the action enhances the faster regeneration and resurfacing of a newer, finer layer of skin. Pumice Stone: Combined with micro-beads, these refined rock particles promote a softer, smoother skin surface free from debris and impurities. L.Saccharina golden algae extract: Adds to the exfoliating power of this formula by providing ultra fine particles that allow for point-by-point removal of impurities stuck on your skin and within your pores. However use of the algae extract can give allergic reaction to some people who are allergic to stickiness! Plankton: Have anti-aging functions, facilitating faster regeneration and turnover, as it also revitalizes your skin cells to speed up rates of repairs and renewal. Although, you may see skin itchiness which might be a problem of concern! As, per the suggested guidelines of Biotherm Biosource Daily Exfoliating Gelee it must be applied on damp skin. To use, massage the product in using upwards, circular motion. Continue for several seconds before thoroughly rinsing off the product using lukewarm water. This product does not use micro-beads that are made of plastic and, as the manufacturer declares, is made with ingredients that are 89 per cent biodegradable. Fuses three different physical scrubbers in different sizes to provide a varied physical exfoliation experience for your skin. Although their must be a concern regarding the allergic reaction which you may face! Physical exfoliation does not suit all types of skin, which means that you may be able to tolerate it or, not. Biotherm Biosource Daily Exfoliating Gelee reviews highlight that this product can be extremely drying to the skin, making it not ideal for use by people with dry to very dry skin types. The manufacturer fails to provide the full ingredients list for this product, making assessment of efficacy and safety impossible. The manufacturer does not include any study establishing product efficacy nor demonstrate client satisfaction. Does Biotherm Daily Exfoliating have any Side Effects? The full product ingredient list is not available online. Nevertheless, skin irritations and allergic reactions due to one or more product components should be anticipated as a precaution. Patch test to check for allergic reactions before applying to the full surface of your skin. Biotherm Biosource Daily Exfoliating Gelee is a rather uncomplicated way of physically exfoliating your skin. This one, however pulls in the power of planktons to restore your skin’s nutrient levels into the formula which is also stated that Can lead you skin to stickiness and itchiness if it’s been overused! Frankly, though, the full mechanism proposed here which allegedly will work on your skin is not unique, and many other exfoliating products that are similarly formulated are likely to give you the same results, some, probably even better. So, don’t settle until you know what other choices are out there.